The ARTbar Studio/ARTstarters - ARTstarters Creativity Circle: Kick-off Session! ARTstarters Creativity Circle: Kick-off Session! price: $199 for 6 Sessions! Are you searching for something in life but not sure exactly what it may be? Do you yearn for more creativity yet not sure how to express yourself? This is your opportunity to answer your own questions -- with the support of a creative and encouraging group! Special: Register by June 14th and receive $50 off! Based on the new book by Nicole Steiman - all participants will get the printed book included with this group and be part of this special group with Nicole as your Creativity Coach. 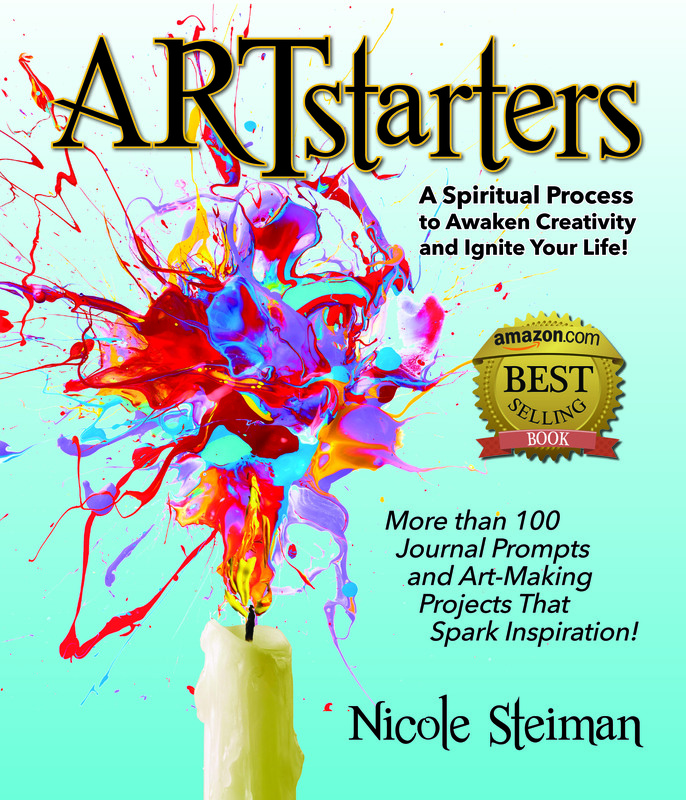 ARTstarters: A Spiritual Process for Using Creativity and Art Making to Ignite Your Life! A unique encouragement group that blends creativity and (your) faith with your quest for your unique purpose. * have goals and want to stretch yourself to meet them in new creative and breakthrough ways! We'll meet 2-3 times monthly on Saturday mornings from 9am - 11:30am, with discussions, sharing of insights, and a safe place to create many of the fun creative projects in the book - with tons of amazing art supplies provided by The ARTbar! It's like The Artist's Way with art supplies! . . . and more life momentum! Contact Nicole at Nicole@theARTbar.net for more information. All Sessions facilitated by Nicole Steiman, M.A. Aug. 30th: Creative Mindset of Passion & Celebration!